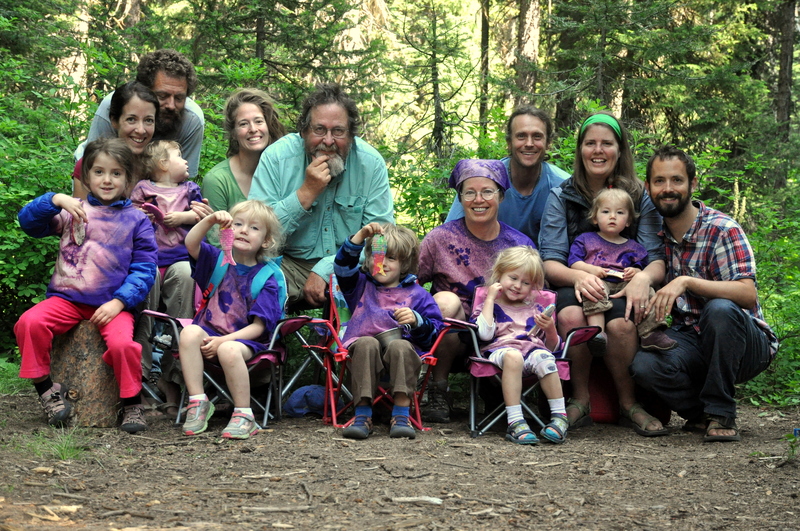 Nature Families has been developed in an effort to share with you the work to which our family has dedicated our lives: getting our kids outside, learning about themselves and their place in the world. In 1984 my parents started a family nature club for my sisters and me. This club called “Nature Nuts” met once a week and taught us all about the wonders of the natural world, skills we needed to explore in nature, the value of service learning, and using art as a reflection tool. My parents gave us this incredible gift (and now a legacy we have shared with our children) that augmented our public education. This phase of Nature Nuts lasted 18 years, and became a pillar of our family culture. Through the years our knowledge grew and the adventures we were challenged to take on grew with us. We are all now adults and parents. Even though we have each chosen our own path, we still share a deep love of nature and a commitment to help instill this love in our children. 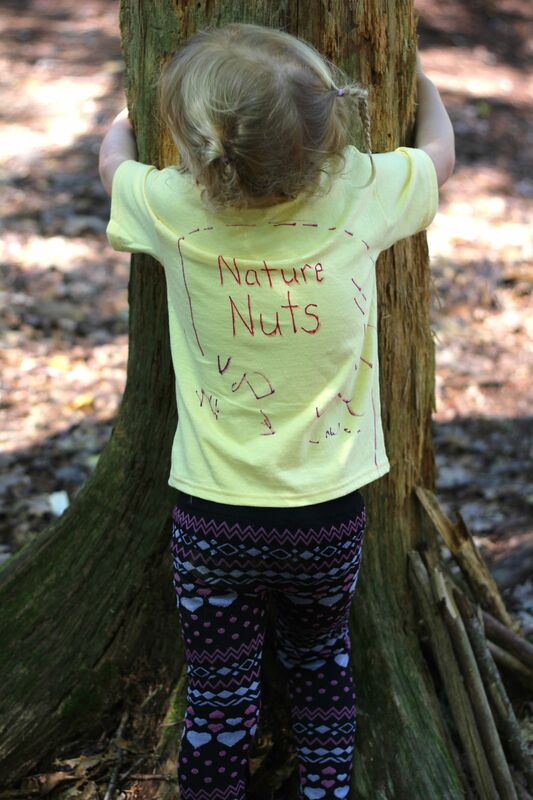 We each now have two children of our own, and in 2011 decided that we wanted to create a Nature Nuts experience for our children. Because we do not live near each other we cannot meet weekly, but we have committed to meeting once a year for a Nature Nuts Camp. This camp has evolved into a very high quality summer camp experience taught by parents and grandparents, and is becoming a very special and powerful tradition in our family. I have also started a branch of Nature Nuts here in Maine that meets weekly with six families and 11 multi-aged children. This is a parent taught group that focuses on place-based learning, exploration, service, natural history, adventure and community. This group has met for 1.5 years now and has been wildly successful. The children have a deep love for each other and the other parents in the group and their skills and knowledge are growing. We have seen their comfort playing freely outside improving as well. When setting up Nature Nuts we decided on a basic teaching structure for the weekly lesson. This structure is loose enough for creativity in lesson planning but adds enough routine that the children are very comfortable with the flow of the lesson each week. In addition, because the parents involved are also the teachers, setting up a basic structure to aid with lesson planning was critical for some of the parents who are not educators to feel comfortable teaching. For more details on the way we structure our meetings check out our How to Start a Family Nature Club page. A family nature club encourages you, despite your busy lives, to get out in nature with others, in all kinds of weather, at least once a week in a very meaningful way. The strengths and interests of each family will come through in their lessons and will greatly augment the growth and development of each child in the group. For example, one family in our group is running their own small organic farm and three families have chickens. My daughters now get the experience of gathering eggs, raising livestock and then eating it later, seeing how honey is made-all wonderful things we do not do at our own house but now they understand. This is a powerful benefit their Family Nature Club community is sharing with them. Another benefit is that the programming is VERY high quality and totally free! But, the best part of all is this amazing experience we provide for our children comes from our own hearts and love and the children sense that and appreciate that. They LOVE to see their parents as teachers and we have noticed they play pretend teachers of Nature Nuts often in their own homes. There is something special about seeing your Mother of Father teach a group. These were unexpected benefits of Nature Nuts. My biggest advice after being involved in Family Nature Clubs of all types is if you are thinking that this sounds like an intriguing idea you should commit to it and create a club! It is a relatively easy endeavor and the rewards are HUGE. Creating a family nature club in your community or even just for your own kids or extended family will be a decision you will NOT regret. Good Luck!